Budgets should include both income and expenditure. It should be clear how much the work will cost in total and how much you are requesting from JRCT. Please list any other existing or anticipated sources of income for the work, including any pending applications with other funding bodies. On the expenditure side, as far as possible, show us the actual costs of doing the work in the way that it needs to be done, over the time that it is likely to take. You don’t need to detail every item, but you should put costs under clear headings, and include brief notes to explain how you have calculated the figures, where necessary. If you are applying for funding for more than one year, your budget should cover the entire period. The budget should be in your local currency. If you are applying for an unrestricted grant, then you should submit a budget for the whole organisation. If you are applying for a particular project or programme, or specific parts of your work, then you should include a budget for that work and a budget for the whole organisation. We do not need to know about your living expenses or financial circumstances. If you are asking for funding for your time, simply include this as a salary figure or reimbursement. We ask applicants to consider honestly and seriously what level of income is appropriate to request. Ask for what you need, but be realistic. We expect that you will have thought carefully about other sources of possible funding and, if applicable, how the work will be sustained over the longer term. JRCT usually makes around 100-120 grants per year, with a total value of around £6m, giving a nominal average grant of £50,000. Actual grants range from a few hundred pounds to £100,000+ and may be single payments or spread over up to three years. 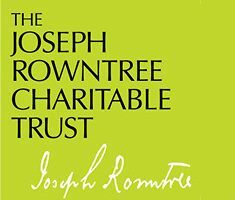 Both large and small grants are important, but JRCT usually makes its largest grants for work that is at the core of the Trust’s concerns and where other sources of funding are very difficult to access.